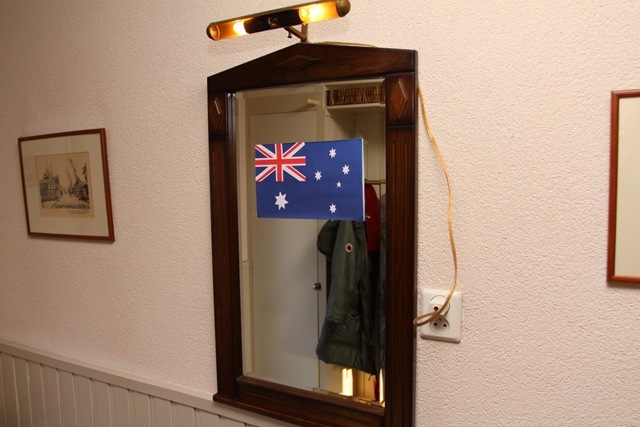 Over here in Holland we had a small Australia Day celebration yesterday on the 26th of January. This involved me cooking the family some home made hamburgers which were nice and yummy. 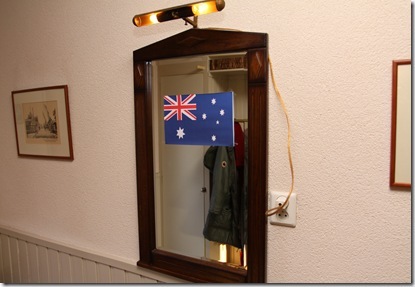 Marijke also put up some Australian flags around the place which was a very nice touch. I wanted to make some lamingtons for supper. They had all the ingredients here. But when I went to the local supermarket to get the sponge cake, I saw they were in large rectangular shape. “Good. Easy to cut into squares.” I thought. Then I picked it up. It weighed about five times more than your standard sponge. It was very thick. After some consideration that lasted about 20 seconds, I decided to just get some fancy ice-cream for dessert instead. It was a very cold day again, which was a nice contrast to the hot weather I heard there was in Brisbane.